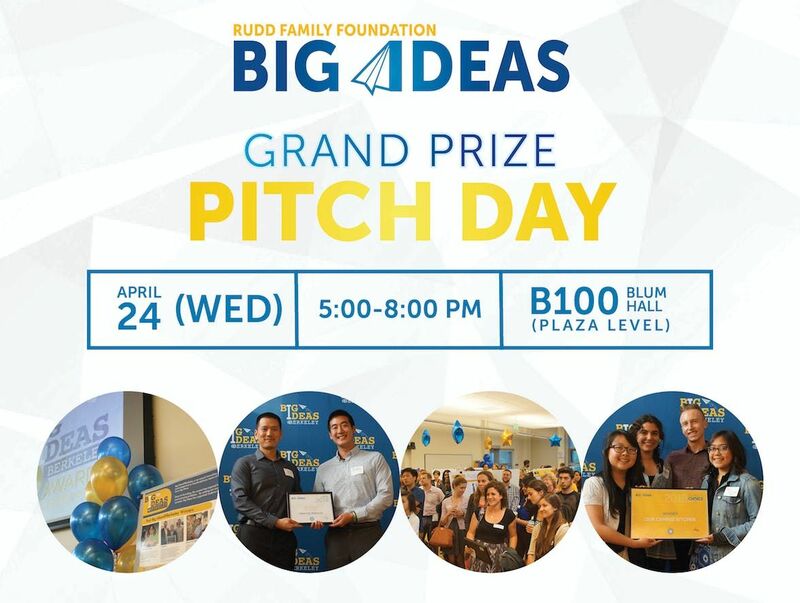 After months of developing their Big Ideas with mentors, six top student teams compete in the annual Big Ideas Grand Prize Pitch Day for up to $5,000 in prizes. Teams will share their vision for social impact with a panel of esteemed judges. 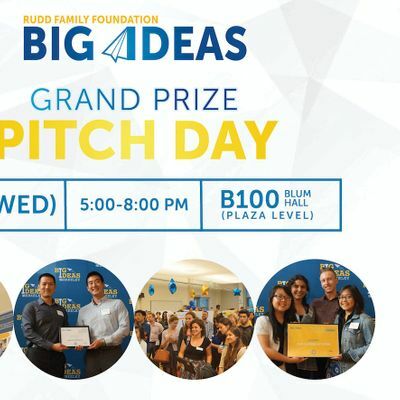 This annual highlight of the Big Ideas contest is an exciting event with opportunities for audience participation and networking. Refreshments will be served. We also invite you to attend the Big Ideas Awards Celebration (5/1) the following week, where Big Ideas winners from all categories will showcase their winning projects!